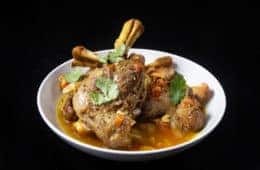 Instant Pot is a very safe pressure cooker with 10 proven safety mechanisms. Don’t worry. It is not going to explode on you anytime soon. 🙂 Most accidents happen due to user error and can be easily avoided. We have compiled a list of safety tips to further minimize the chance of an accident. It is not advisable to leave your house when your Instant Pot is cooking. If you must leave it alone, make sure it has gotten up to pressure and absolutely no steam is coming out anywhere. 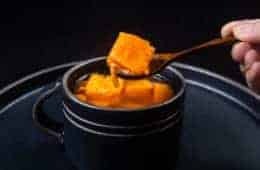 Don’t attempt to pressure fry in the Instant Pot or any other pressure cookers. KFC uses a commercial pressure fryer (modern ones operate at 5 PSI) specially made to fry chickens. 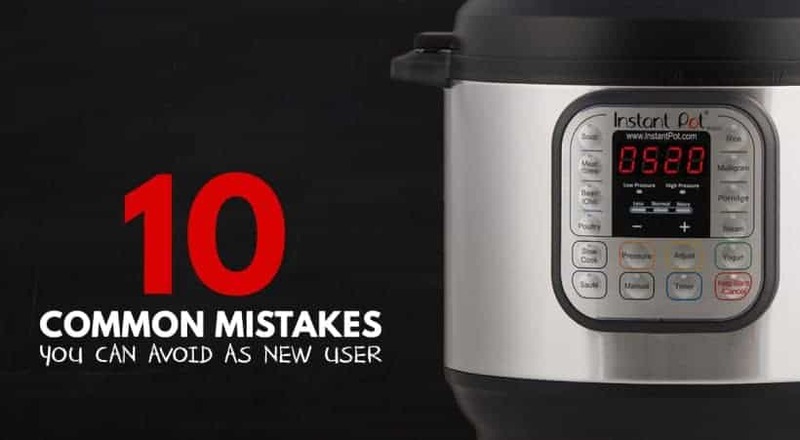 Instant Pot (10.5 – 11.6 PSI) is specially made to make our lives easier. We developed a workaround – Crispy Pressure Cooker Chicken with Homemade Chicken Gravy Recipe. #3 I am Just Like You! I don’t like eating too much grain. Do not fill me up (the inner pot) more than half way with rice, congee, one pot pasta, oats, cornmeal, and beans, or I might spit them back out to you. 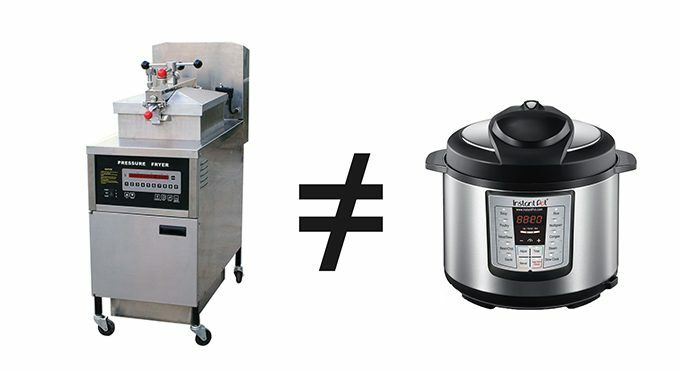 The Max Line printed on Instant Pot’s Inner Pot is not intended for Pressure Cooking. Trust me! You will not get a deep cleaning with a single dose of pressure cooker steam. Always tilt the lid away from yourself when opening. Wear Waterproof Heat Resistant Silicone Gloves especially when you are doing a Quick Release. 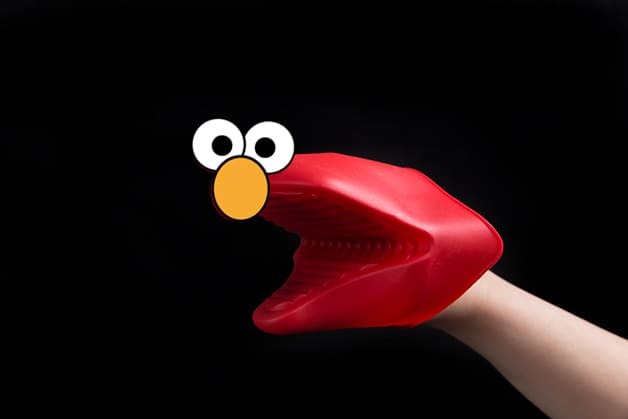 Save the Instant Pot Silicone Mitt for Sesame Street Elmo’s impersonation. Unless you want to feel like getting struck by a light saber in the face, under ZERO circumstances should you try to force open the Instant Pot Pressure Cooker’s lid. If you want to be Ultra Safe, wash the lid, clean the anti-block shield, and the inner pot after every use. Make sure the gasket (silicone sealing ring) is in good shape and no food residue is stuck inside the anti-block shield before every use. The Silicone Sealing Ring typically needs to be replaced every 18-24 months. It is always a good idea to keep an extra one around. Prior to each use, inspect to make sure the sealing ring is well seated in the sealing ring rack and the anti-block shield is mounted properly on the steam release pipe. A properly seated sealing ring can be shifted, with a bit of effort, clockwise or anti-clockwise inside the sealing ring rack. Never pull the sealing ring by force, as the pulling may cause deformation and affect its function in sealing the pressure. A sealing ring with cracks, cuts or other damages should not be used. When I ordered my Instant Pot I could not wait.for it to arrive, when it finally did it was as though I was staring at the headlights like a deer. I froze. It took two weeks for me to finally open the box another week for me to finally take those baby steps. I feel fortunate that I discovered your site your easy to understand expressions I find very helpful. ‘you have calmed my fears’. I have a stainless steamer basket with a handle and it says the handle is oven safe up to 350 degrees. 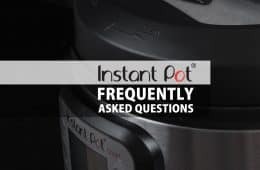 Would it be safe to use inside the instant pot? (Making hard boiled eggs for example with the 1 cup of water.) No idea how hot/at what temp it gets inside the IP. Thanks for your help! I have a an Power XL pressure cooker. I have been separating the inner lid and the sealing ring and placing both of them on the top rack in my dishwasher for quite some time. So far I have not had any problems. QVC gave me the impression that the electric pressure cookers are safe and never explode because of all the built in safety features. For the past 2 or 3 years that I have owned one of these (this is my second one), I have not had an explosion, but my cousin brought it to my attention that explosions can happen with these and now I’m a little concerned. I don’t want my kitchen on fire, my stuff trashed or my face and hands burned to a crisp. I always make sure my pressure cooker has 1 to 2 cups of liquid in it. Even if the recipe says less. But I pretty much make up my own recipes. I have been making my own bone broth for a while and I fill it almost to the top with water. Sometimes some of the veggies go slightly above the fill line. The current generation of Electric pressure cookers are very safe. Most “explosions” happen when users are trying to force open the lid. Thank you for your question. It will be fine as we have some Instant Pot plugged-in for a few years already. It’s Black Friday and I got my 8-quart for $59! at Walmart. I haven’t used it yet but i know I will love it! Thank you for the tips! Will the insta pot burn my kitchen counter. 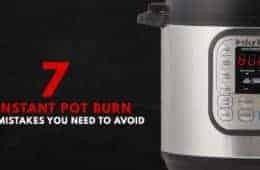 The Instant Pot will not burn your kitchen counter. My instant pot fell on its side from approximately 12” onto a cement floor. It’s not dented but I am afraid to use it.. any ideas of what I should do? Sorry to hear what happened, but thank you for your question. 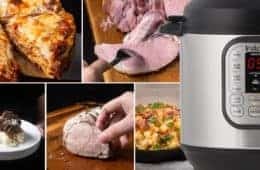 You would want to contact the Instant Pot support for this. If it were me, I would buy a new one. You never know what’s been damaged internally. The smallest defect could lead to a disaster under pressure, as it’s the weakest point. My electric pressure cooker is Crock-Pot brand. It doesn’t have a button that just says “manual”. 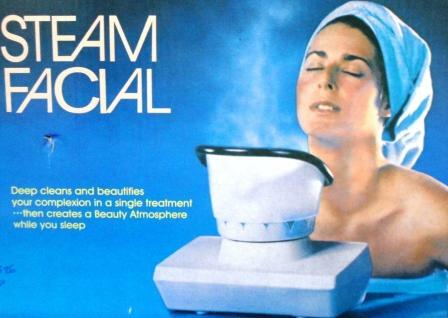 I pushed the button for “steam” and changed the time to 4 minutes at high pressure. I’m worried because the recipe I’m using has very little liquid- approx 1/4 soy sauce and 3 tbsp of honey. That’s it- no water, no broth… Is this thing going to blow up my kitchen? Burn the contents into charcoal? Ignite a mushroom cloud?? Without seeing the recipe, I would say 1/4 cup soy sauce is pushing the limit. So the warnings say use at least a cup of liquid. The first recipe we’re trying calls for a half a cup of beef stock; not 1. 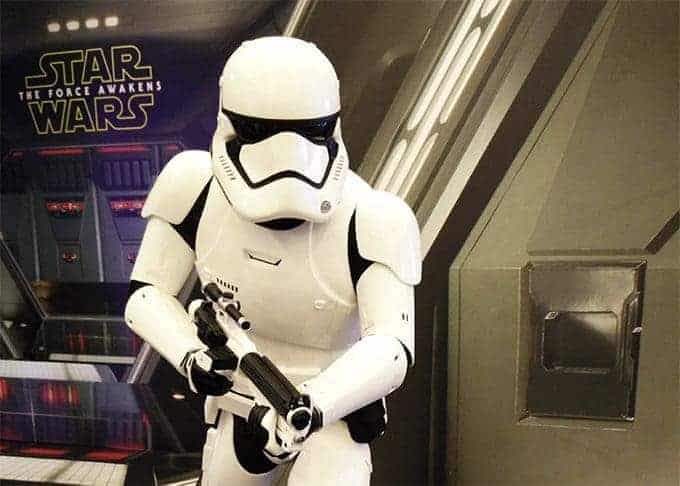 Are we in trouble? It will depend on the other ingredients. Half a cup of liquid will usually be fine. Is it advisable to buy the “crockpot” type glass lid as well? If you would like to see-thru the pot while slow cooking or using the keep warm mode, it will be quite handy. It looks like all the 8 quarts are out of stock right now on Amazon. You can follow us on Facebook as we will post deals there! Looking forward to using the Instant Pot. Is the top cover dishwasher safe after removing the sealing ring? the top cover is dishwasher safe, but usually a rinse under tap water is suffice. 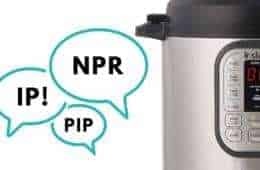 How much do you sell for the Instant Pot 101 pressure cooker? 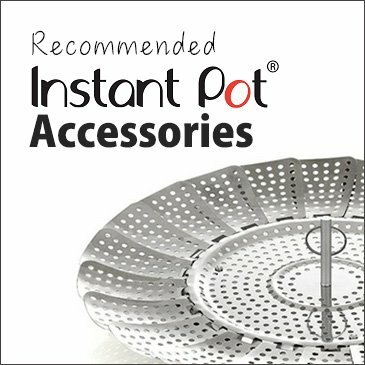 We don’t sell the Instant Pot, but you will be able to find it on Amazon.